LBPCentral - It’s on: Mm vs. Harmonix in the Developer Showdown. Seeing as though 100 sumthing people are online, we might have a chance, let's hope they see this thread! Well, I tried to log into the escapist page to vote for Mm because now that it's a first party company, it has a legitimate excuse for playing console favoritism. However, for some reason I couldn't log in. It stumped me for a fraction of a second before I remembered: I didn't register for escapist magazine because I couldn't care less about their kook opinions. Oh well. I think CC should make it so you can't log in to LBPC until you vote for MM . Lol, I'm joking.... Or am I? EDIT: D: the link doesn't work. 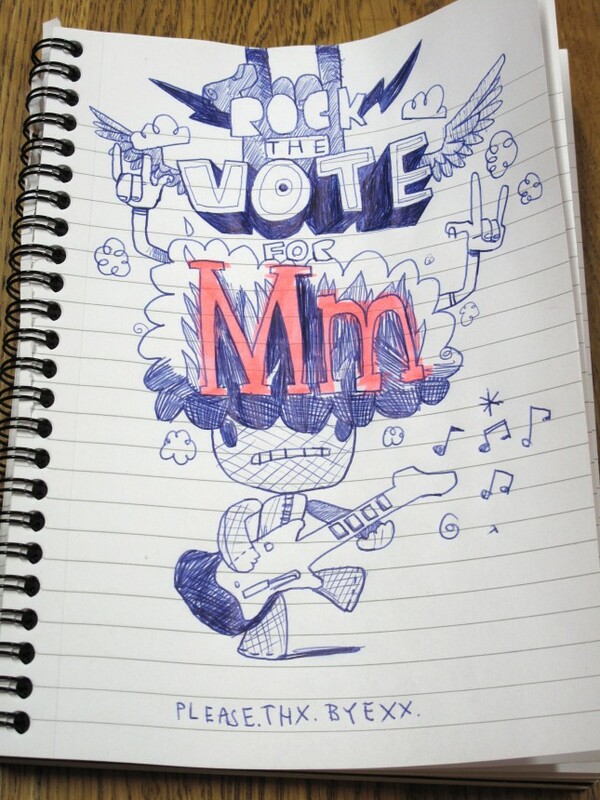 In all seriousness, I'm going to vote MM because I have never played a game as long as I've played LittleBigPlanet. It's given me much more than the $60+ dollars I've payed. I won't stop playing until they disconnect the servers. And, MM seems to care immensely for it's community. For that, I respect you guys. Long live MM! OK, I voted . So, what's in it for us? Oh crab apples. The registration link they sent me isn't working. :c Curse you, servers! CURSE YOUUUUUU! I'm trying to vote.. their server is busted. I guess we are crashing it pretty hard. last I saw it was 13 - 4 for Mm. Woo-hoo!!! At first I was totally terrified between the mkaers of LBP and the makers of The BEATLES Rock Band. But as I listen to the Beatles as I type, I realize... they've been putting off Beatles DLC Albums. For the last 4 months. MM, you have my vote. Harmonix is winning by about 30%. I hope MM makes a comeback. i was reading the post and for some reason believed that it would say something like 'so to persuade you, we've released this hella sweet new DLC! surprise!' but no. voting 4 harmonix b/c gitar hero rox!! Is it against the rules to make multiple accounts? . So... you got the goods Mm, cause my vote ain't cheap. Just kidding. We a gonna win for sure. Sure they got the overly populated 900 billion Rock Band users, but we got something they don't... a walking sock! We also have the power to communicate with everyone who plays LBP, through the cool pages. Start spamming "Vote for MM" levels into the community folks. Man, choosing between lbp and rock band is a tough call. They both have been keeping quality dlc coming and not over-pricing it. I'm totally hooked on lbp and I've spent more time playing it than any five games, but rock band is awesome and I love to break it out for parties and stuff. Ah, screw it. Gonna' vote for lbp. Did you really just suggest adding MORE crap levels to all the h4h's and bomb survivals? That does it: I'm voting for Harmonix now. Ok, not really, but still.